Nancy, Bess and George are thrilled when their class is asked to design a scarecrow for the town’s biggest department store’s window. And it gets even better when their design wins! 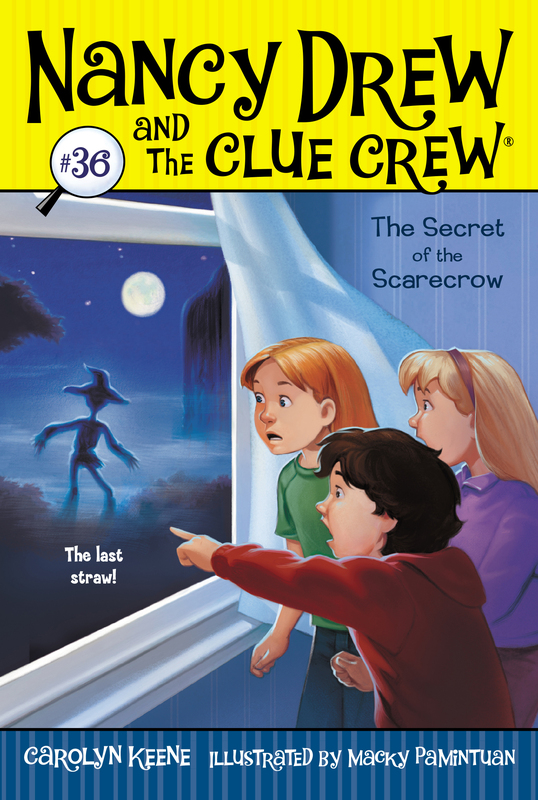 But when the scarecrow is stolen from Bess’s porch, it’s up to the Clue Crew to save the day. The case is tough, especially with a shadowy figure running around town, a list of suspects that keeps growing, and Deirdre Shannon trying to get Bess in trouble. Can the girls find the scarecrow in time? Or will the store’s fall window be ruined?